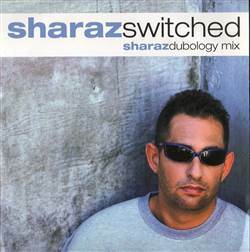 BREAKS, Streetbeat, USA, 2001... With Switched (Sharaz Dubology Mix), Switched (Instrumental Version). Memphis Rave Mafia - Walking In Memphis 12" Midfield General - General Of The Midfield 12" Darqwan - Confused? / Disaster 12" Meat Beat Manifesto - Radio Babylon (Disc 2 Only) 12"
Mpress - Time Out (Remixes) 12" BT - Somnambulist (Remix) 12" Raiven Maize - The Real Life 12" Ils - The Next Level / Music 12"